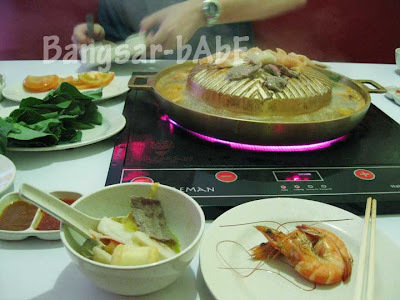 I read about Fireman BBQ buffet promo here, so I dragged rif to try it with me last week. 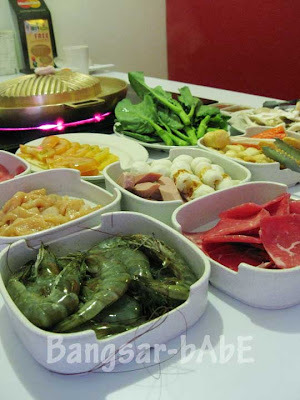 The buffet cost RM19.90++ per person excluding drinks. To start, we were given 2 pieces of pork lard to oil the grill. Everything is pretty much DIY – place the meat on top of the grill and cook away! 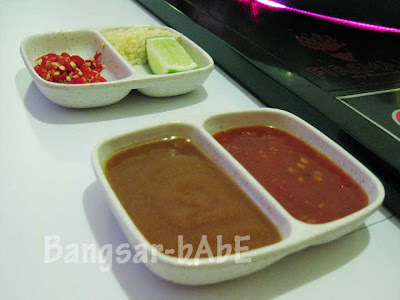 The pork and beef slices were alright, nothing fantastic but tasty when dipped in their special chili sauces. The chicken was dry, almost rubber-like. And I didn’t even grill it for long. 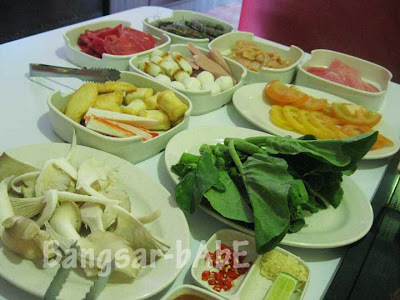 We added prawns, crabsticks, pork and beef balls and sausages in the clear soup. After a while, the juices from the grill will flow into the soup below, making it quite tasty towards the end. We cooked udon noodles and added an egg into the fully flavoured broth, and it tasted really good. 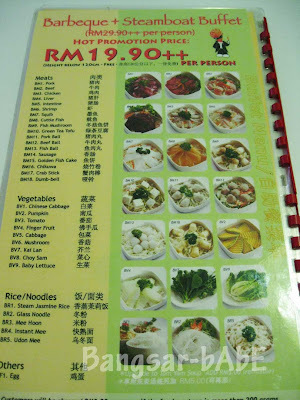 The bill came up to RM47 inclusive of service charge and tax. Pretty reasonable considering the amount of food we ate. 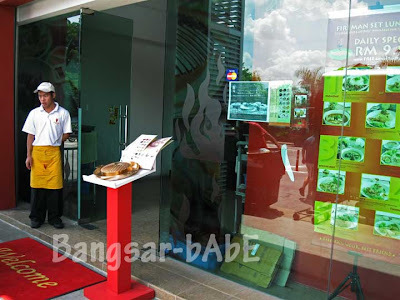 Verdict: Average food, but with the promo, it’s quite value for money. XD a big hug, see you soon! yeah. i totally agreed with what Bangsar-babe said. The food there are very fresh and the sauces are very nice & unique. I would reccomend u guys 2 order the side orders too… such as Prawn Cake & Pork Net Roll. All my frens like these 2 very2 much. Not only foods, the Fireman show here also very entertaining. Tell u one thing wor, i've been invited by the Fireman to 'play' fire wit him. Really excited. 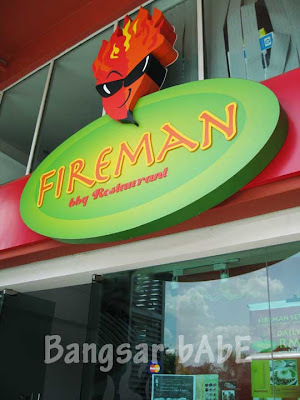 Guys, u must go to Fireman BBQ Restaurant. 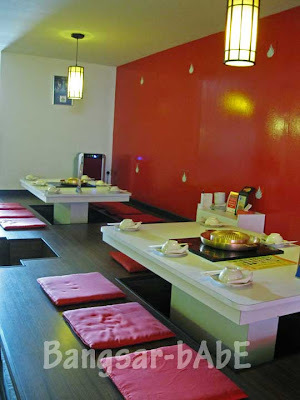 wonderful fresh food, comfortable interior, entertaining performance at affordable price. Highly recommended!